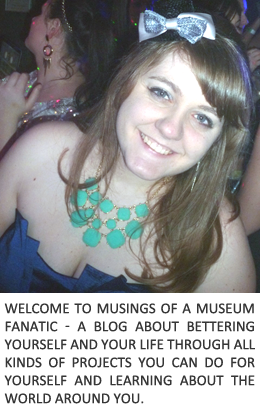 Musings of a Museum Fanatic: Overload! As I'm sure we all know with this weekend being Labor Day weekend every store and their mother was having deals. I decided to take advantage of the Michael's deal ... 20% off your entire purchase yipee!! I ended up O.D.-ing a little bit on crafts and ideas for crafts. Like the crazy person I am (and I honestly do this every year seriously just ask Stephanie) I am already well into planning for Christmas presents. I know I know It's only just September but I can't help it!! Since I want to do so many crafty things for so many people I feel like I should probably get started early so I can actually get them accomplished. Kevin and I are working to clear up our dining room table. Which has some how acquired half of the papers from our filing cabinet some how. When that happens I'm going to give the Mickey Votive I decided on a whirl. I have cute little vases I got from the Crate and Barrel outlet a month ago and I went a bit nuts and got a few different punches yesterday. If you're looking for some awesome craftiness head to Southern Beauty Guide Chelsee is talking about how she used her Pampered Chef Tool Turn About for some awesomely different storage! I start my holiday shopping at this time too. So much better than dealing with crowds later. Plus most of my family have holiday birthdays! I love glass etching! I did monogrammed wine glasses as favors for all the guests at a wine tasting party I hosted. The guests just sat where their intialed glass was instead of using placecards. They all still love and use their glasses. Oh yeah, and they are dishwasher safe, which is the best! I have started thinking about Christmas gifts too, so don't feel bad! how fun! that is a good time to shop at michael's. I always almost never spend less than $20 there! Just last week was 4 months til Christmas! I start shopping for Christmas early too.